Up to 12cm height by 20cm spread. Moderate, will take around 5 years to reach its full spread. Forms clumps of foliage from which flowers grow on relatively tall stems. They can tolerate full sun. Plant 5cm deep in well drained soil of any type with added organic matter, such as compost or well rotted farmyard manure. Cyclamens prefer a sheltered spot in any aspect. Brilliant white, upright flowers which often open before the foliage. 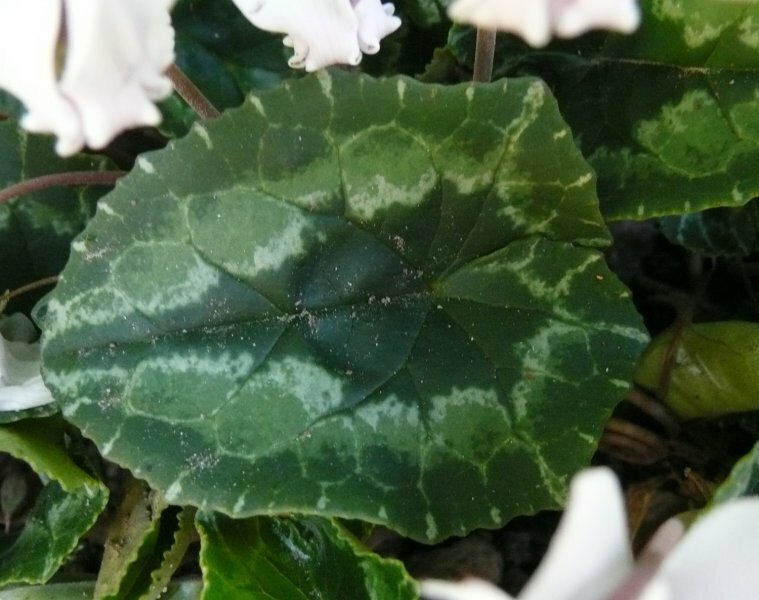 Attractive ivy-shaped, green leaves with grey/silver patterning. Great for bringing a bit of late season cheer to a dingy corner. Can be used in containers, rock gardens slopes, woodland schemes, cottage style gardens or under-planting shrubs and roses. Try surrounding it with a dark mulch, such as composted bark or black gravel, to really bring out the white and silver colourings. When the leaves have withered in spring mulch the plant well with well rotted compost, farmyard manure, leaf mould or similar. No pruning required. You may wish to cut away spent flower stems to keep a tidy appearance, although they will naturally coil to the ground. Can be propagated from seed by collecting the seeds in summer when they have ripened (they should be light brown in colour) and soaking them for 12 to 24 hours in warm water with a little washing up liquid to soften the seed coat. Then sow them immediately in pots with equal parts seed compost and 5mm grit. Water them then seal the pots in clear plastic bags maintaining a maximum 16˚C and putting them in a shaded spot. Once the seeds have germinated you can remove the plastic bag. Transplant them, if crowded, once they’re big enough to handle. Pot grown plants can be attacked by vine weevil. The tubers can be dug up and eaten by mice or squirrels. Botrytis may be a problem in shady areas where there is poor air circulation. 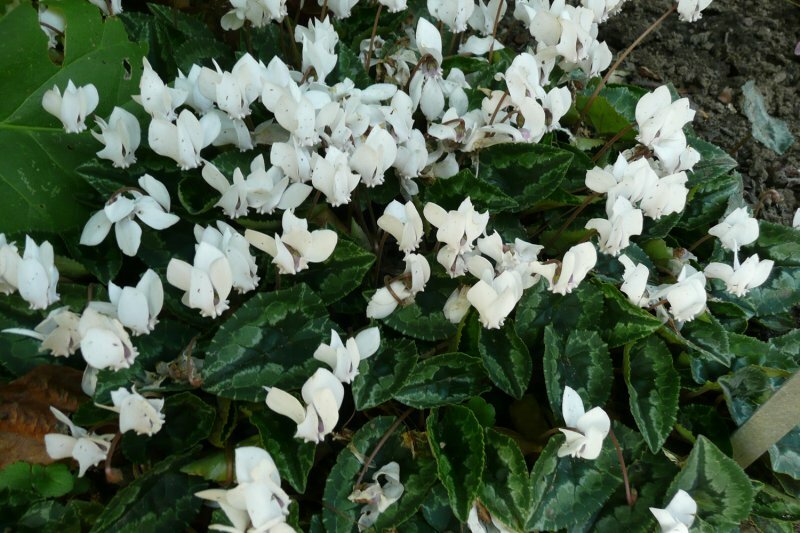 Cyclamen seeds are naturally dispersed by ants (this is called myrmecochory). The seeds have a sticky covering called an elaiosome which attracts ants. The ants then carry the seed into their nest, eat the elaiosome and discard the seed – in the perfect germination environment for the cyclamen!